An appreciation by the club of one of its most long-serving members, who died in November 2011 at the age of 82. 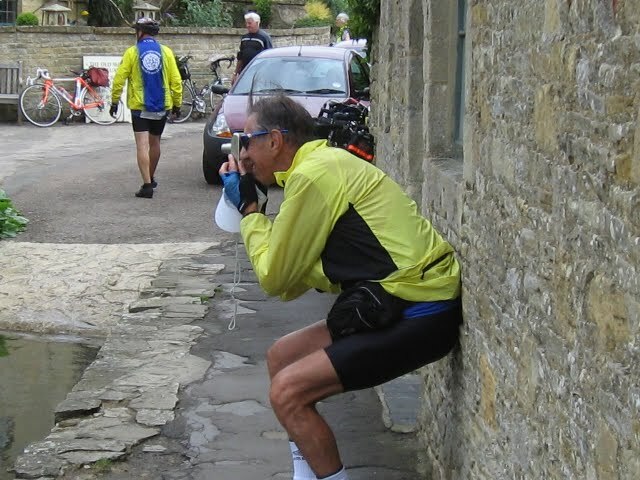 Many of us will remember John as one of the first people to greet us when we arrived for our first club ride. He always went out of his way to make new members feel welcome and share his love of cycling. But I suspect not all of you fully realise the extent of his cycling achievements. John was associated with CTC and our club for as long as most of us can remember. He helped run the club for many years and led countless cycle rides both locally and all over the world. He led local rides for Cambridge CTC as recently as 2009. 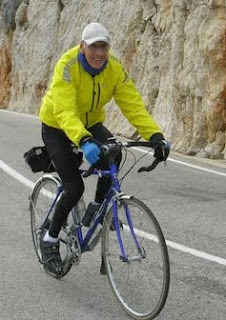 John was a lifelong touring cyclist. Like most young men at that time, he did a bit of cycle racing in his early years, but, I think he soon decided his real love was touring. 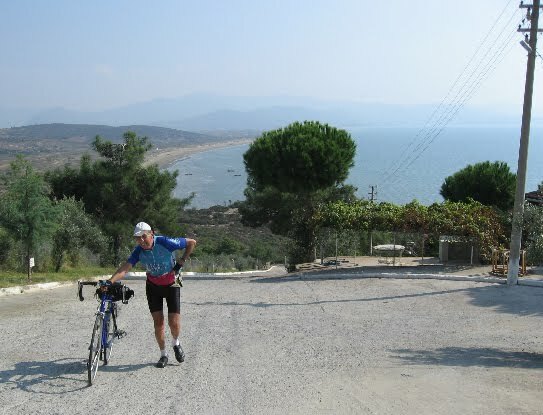 His cycle tours developed something of cult following, with many cyclists returning year after year. His first tours were to Ireland, the Channel; Islands and the Isle of Man but he soon recognised the merits of sunnier climates and organised tours further south in Europe. Over the years his tours have ranged widely across Europe and the rest of the world with holidays in Africa, America, Asia and New Zealand. In the early days, the CTC tour organisation was fairly rudimentary. No mobile phones or sat-nav (obviously) but also no credit cards meaning that tour leaders had to pay cash for the hotels and meals. Fortunately, John was good at organising and also good with money: two essential qualities for a tour leader. He continued leading holidays every year until he was 70 and encountered the red tape of CTC bureaucracy. Thanks to his younger wife Greta, he was able to sneak in a few extra years of tour leading as the "John and Greta" double act. 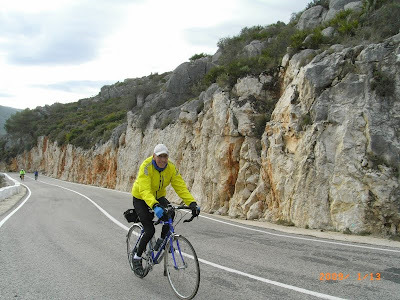 The winter trips to Denia (Costa Blanca, southern Spain) which John inaugurated and organised for many years became a regular feature of the club calendar. 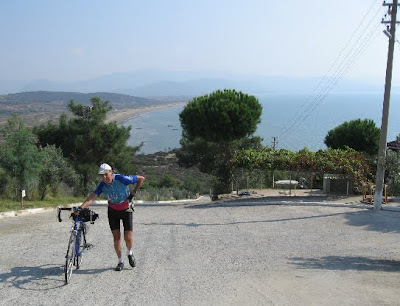 I have been told that there were some proper cycle rides but also plenty of sunshine, buffet suppers and the occasional glass of wine. Turning to the club rides, John was a regular leader of the Sunday all-day rides, arguably making life far too easy for the runs secretary back then. 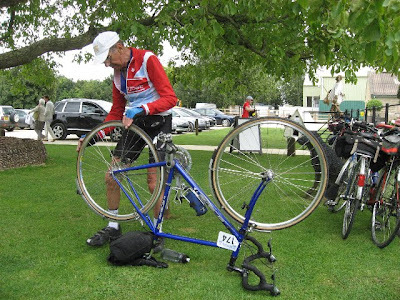 John started joining the Thursday rides when he stopped working, and joined a growing group of retired men who started "accompanying" the ladies on their Thursday rides. He was a strong rider, often nudging the younger riders (that's me by the way) into a friendly bit of competition on the hills - and then casually reminding them that he was "old enough to be their father" over lunch. So, let me close with a suggestion of how we remember John. John would be out on his bike in all weathers but he earned a reputation for always having good weather on his tours. As we all know, "good weather" is as much a state of mind as reality. So as a motto, I'd suggest we remember his sunny cycling days in the same way as he did - as "John Lumber's good weather holidays". A note of thanks from his wife Greta is published here.